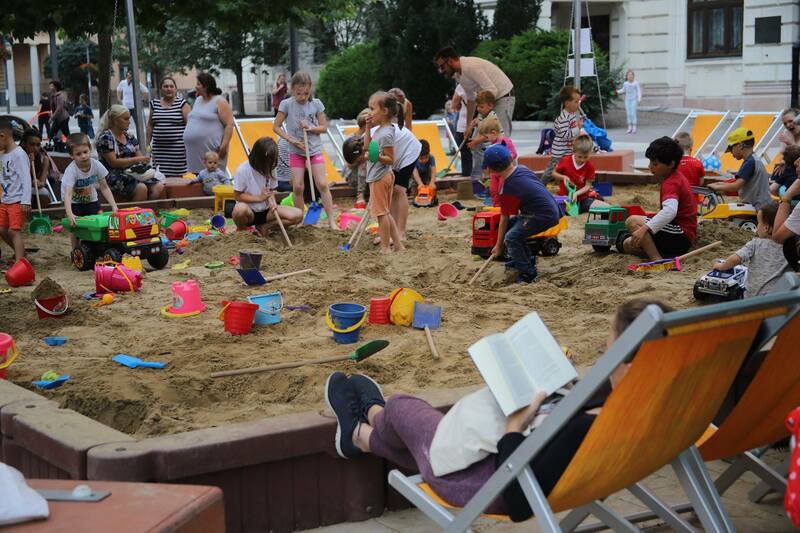 From June 14th to August 12th, 2018, the Szent István Square was at the centre of Újpest’s community life with a giant sandbox set up for kids to play in and enjoy. 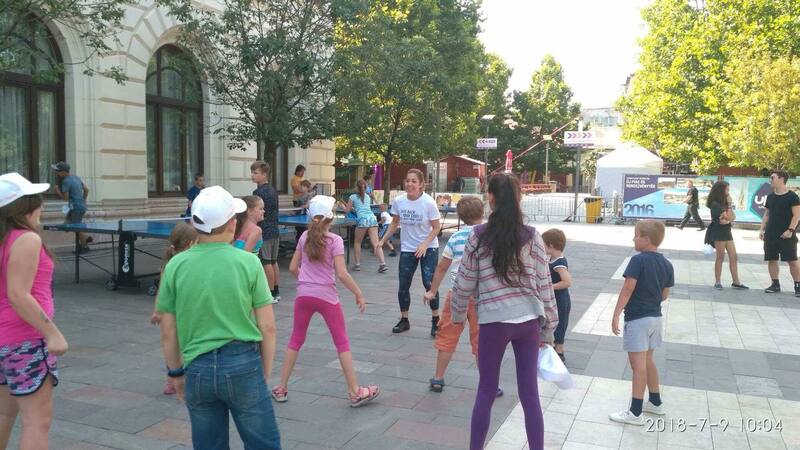 The Square also hosted sports opportunities from football to basketball, table tennis and table soccer, along with various board games and fun activities for children and adults alike. The event has been welcomed by youth, families and all citizens, with between 700 and 1,000 daily participants coming to relax, have a good time and socialize with each other. The Giant Sandbox Sports and Community Programmes is a great example of initiatives that can be implemented at the city level to promote physical activity and play. For more pictures about the event, please consult the official facebook page.